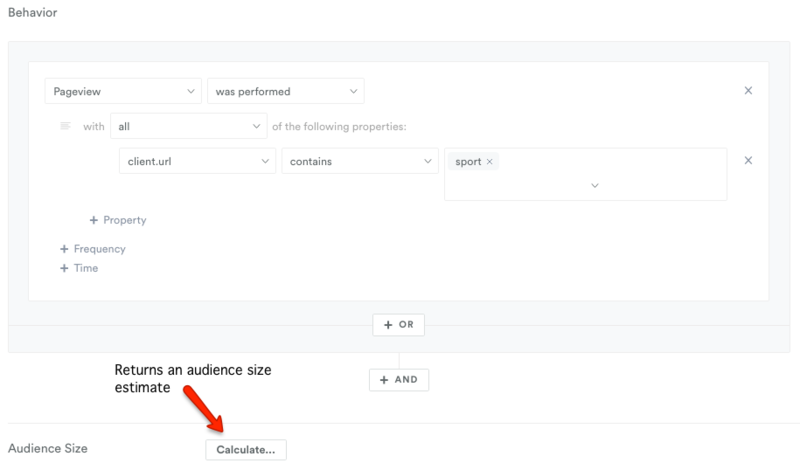 Permutive instantly returns audience size estimates for each segment in your project. This can be useful when responding to RFPs, so you have an idea on whether you can fulfil a campaign's required reach. In this example, I'd like to know the number of uniques in my Sport's audience. To find out the segment's size, I use the 'Calculate' button in the segment builder. 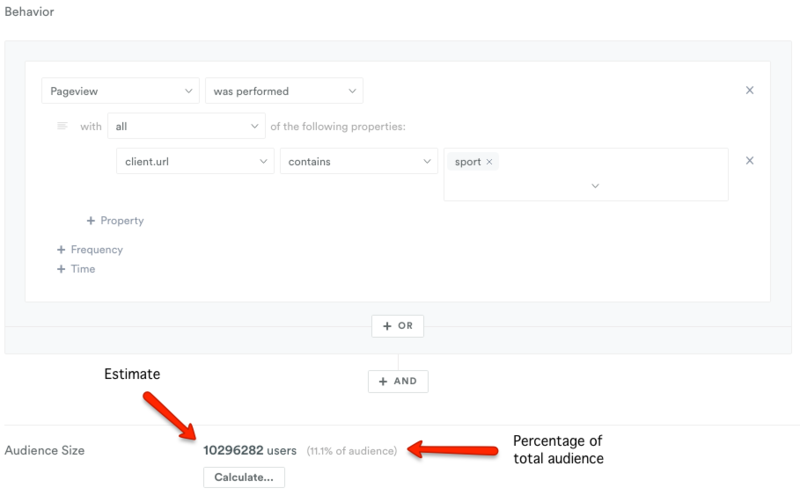 Returned is an audience of 10.3M users over the past 30 days, and the percentage of my total audience. This estimate does not auto-refresh. Note: Segment sizes will not be returned for 'In session' segments.